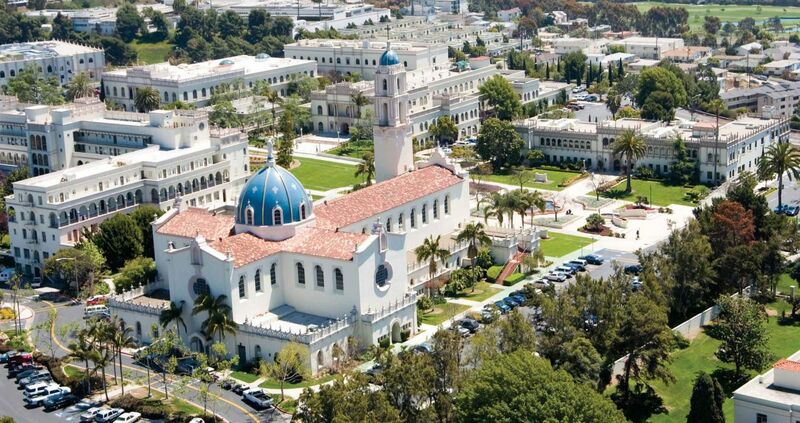 Founded in 1949, the University of San Diego is a private, Catholic university in San Diego, CA. 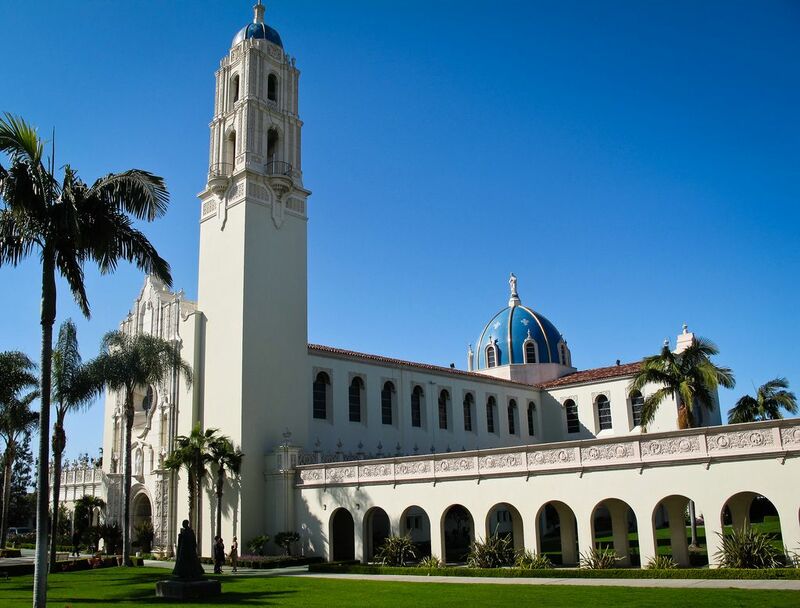 Perched on the edge of a mesa overlooking San Diego, Mission Bay and the Pacific Ocean, USD offers strong academics rooted in the Catholic faith. Located on 180 acres overlooking the city of San Diego, Mission Bay and the Pacific Ocean, the University of San Diego provides a rigorous and rewarding academic. The university offers 42 baccalaureate degrees, and several degrees in law, nursing, (master's, PhD, and DNP), and other doctorate programs. The university comprises of seven different academic colleges: College of Arts and Sciences, School of Business, School of Leadership and Education Sciences, Hahn school of Nursing and Health Science, Shiley-Marcos School of Engineering, Joan B Kroc School of Peace Studies, School of Law, Division of Professional and Continuing Education, Franciscan School of Theology. The most popular majors at University of San Diego include: Business, Management, Marketing, and Related Support Services; Biological and Biomedical Sciences; Social Sciences; Communication, Journalism, and Related Programs; and Engineering. The total student population at the university is more than 8,200 students of which over 5,600 are enrolled in the undergraduate programs. The student to faculty ratio at the university is 14:1 and the acceptance rate is 52%. At University of San Diego, 50 percent of full-time undergraduates receive some kind of need-based financial aid, and the average need-based scholarship or grant award is $26,549. In 2016, the MBA program at the University of San Diego, School of Business was ranked 28th in the United States and 59th in the world by Financial Times Top 100 MBA Rankings. This option is perfect if you're going for a career in public accounting and plan to take the Certified Public Accountant (CPA) exam. It's also a great option if you're interested in industry-related accounting careers where the Certificate in Management Accounting (CMA) is more popular. Through case studies, role playing and experiential exercises, you'll practice ethical leadership and learn to negotiate financial strategies with clients and internal teams. Transcript and Credential Evaluations, English Language Exam Minimum Scores: TOEFL: 83 IELTS: 7 Letters of Recommendation, Current Resume, Personal Statement, Statement of Purpose and/or Essays, Standardized Test Scores. Anthropology is the study of being human, culturally and biologically, currently and in the past. 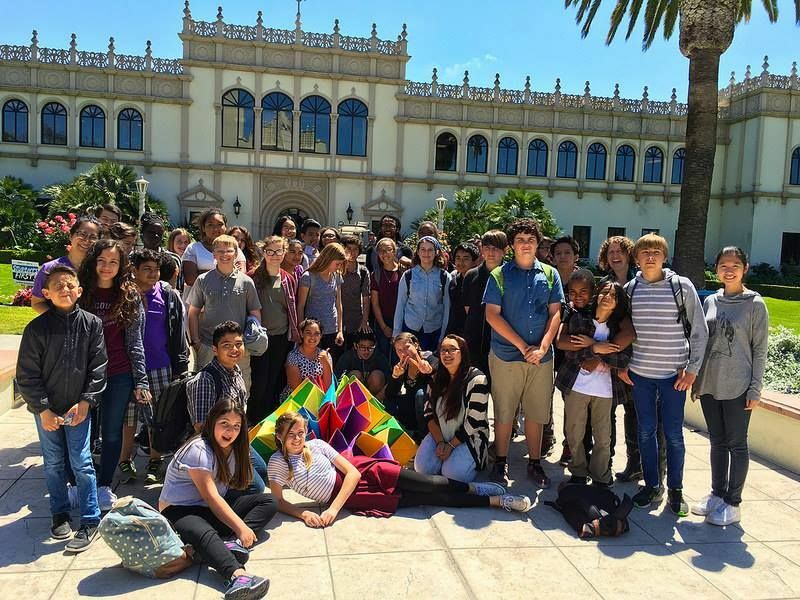 The objectives of the anthropology program demonstrate a global perspective and focus on the concept of culture and the fact of human biology. USD's Architecture major and minor programs introduce students to architecture as a cultural practice that structures both the physical and social environment. Architecture students will be introduced to a wide range of disciplines and creative studio practices that contribute to an architect's breadth of knowledge and problem-solving skills. "Art history, as Donald Preziosi has written, makes ""the visible legible."" Over the course of their college careers, students of art history are equipped to think and write with precision about art, architecture and visual culture. Attuned to perceptual process and alert to the power of images and objects, students reason with the evidence and investigate theoretical lenses, imagining and analyzing the intertwining of form, context and content." 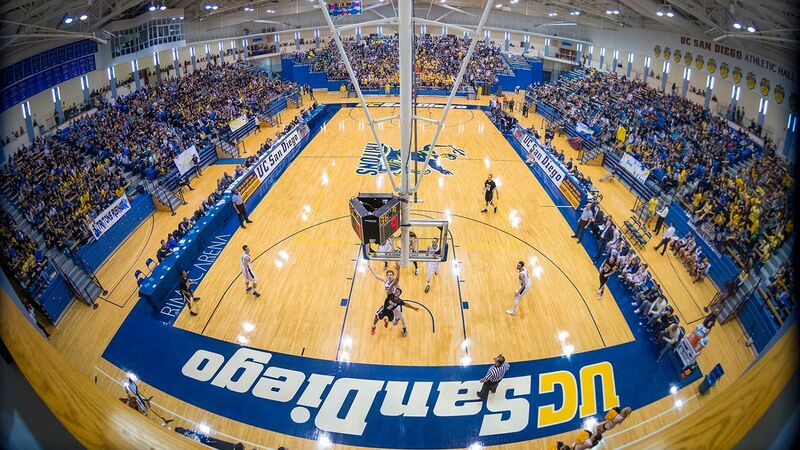 The annual cost of living at the University of San Diego is $15,000 approx.